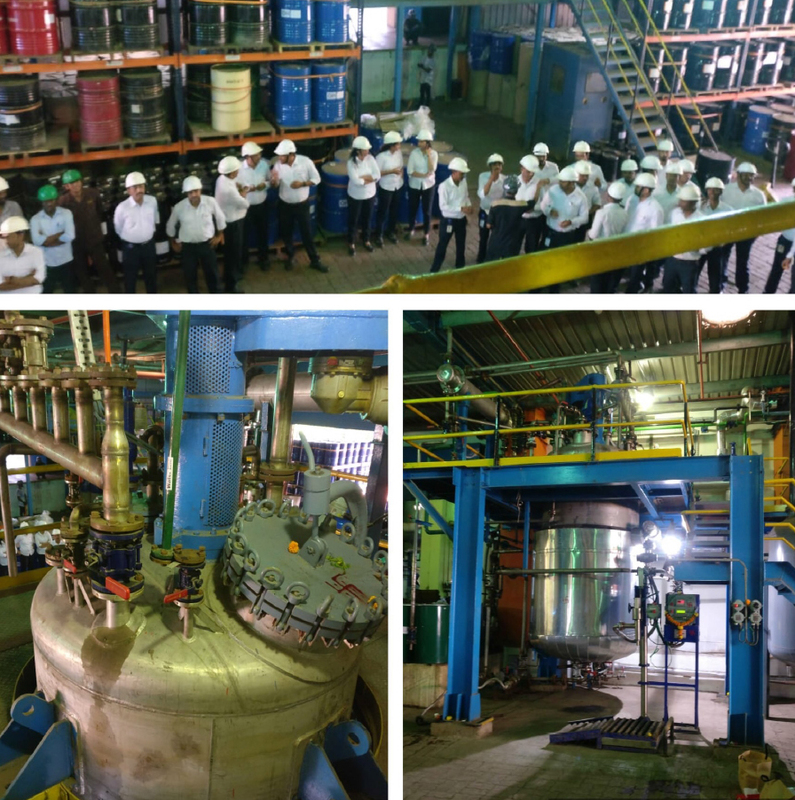 Brilliant Polymers has commissioned a new reactor at its manufacturing site in Ambernath, Maharashtra. The company, a leading suppliers and exporters of laminating adhesives for flexible packaging in India, currently produces over 16,000 tonnes of adhesive per annum at its state-of-the-art manufacturing facility. The new reactor coupled with other infrastructure and optimization projects will increase Brilliant’s capacity from 20,000 to 22,000 tonnes per year. The new capacity will be primarily used to boost production of Brilliant’s recent innovations in solvent free adhesive technology. Growth in usage of solvent-free laminating adhesives in India has been healthy and customers are investing increasingly in solvent free laminating machinery. “We have a dominant share in the solvent-free laminating adhesive market in India and intend to grow our share further with new product launches. Customers are turning to solvent-free adhesives for more and more applications and we are innovating and providing them with new adhesives to meet evolving demands. Our new products come with our promise of Technology, Quality and Service with every supply – we are confident of consolidating and strengthening our leadership position in India,” says Gaurav Talwar, managing director, Brilliant Polymers. A new low viscosity solvent free adhesive system especially designed for high speed laminations involving metalized films. This adhesive has extremely good wet-ability and optical properties and can run at higher speeds than previous generation adhesives. Brilliant S631/S310 is an innovative solvent free adhesive which has grown to become one of the largest selling solvent free laminating adhesives in India. This product has unique properties and can be used for laminations involving metalized films as well as for laminations involving thin gauge polyethylene films, with a negligible impact on COF after lamination. The market has appreciated this innovative product. To add to the strength of S631, Brilliant is now offering this product in combination with a high performance hardener, S320. Brilliant S631/S320 can be used for higher performance applications like tomato ketchup, heavy rice and flour bags, and also where a faster cure is required. A single component solvent-free adhesive with wide ranging applications including laminations with paper and board, carton manufacturing, graphic arts and other industrial applications. This adhesive is user friendly and offers a low viscosity, and yet offers a fast cure rate in laminates. With its innovative range of products, Brilliant has seen healthy growth rates over the last five years. The company offers a complete range of solutions for the flexible packaging industry from standard performance to high performance applications. Its products are designed to provide unique properties and afford excellent levels of performance in terms of heat and chemical resistance, optical properties coupled with high initial tack and fast cure rates.